2018 is my thirtieth year reading the Wild Cards novels. I started with volume 4, Aces Abroad, though I’d been desperate to read the books ever since Chris Claremont name-checked them in an issue of Uncanny X-Men. Wild Cards is the story of an alternate-history Earth afflicted by an alien virus that gives its victims super powers (they’re called “aces”) or physical deformities (“jokers”), or occasionally both. It’s the sort of world where aces are more likely to host a talk show or open a restaurant than put on a cape, and jokers have clustered into small enclaves to protect themselves against oppression. It also features some of the best superhero stories of the last three decades. The series was started by George R.R. 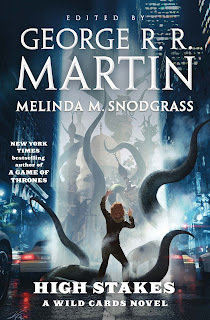 Martin and a team of fellow writers (including Melinda M. Snodgrass, Roger Zelazny, and Walter Jon Williams) as one of the shared-universe anthologies that were all the rage at the time in the wake of the Thieves World books. The other universes have come and gone, but Wild Cards is still standing thanks to a surprisingly adaptable central concept, a talented pool of writers, and a timely reinvention that’s now ten years old. After some outstanding storylines in the late 80s and early 90s, the series petered out over the years until Martin relaunched the franchise in 2008 with Inside Straight. With a new team of writers, a fresh cast of characters, and a compulsively readable narrative hook (a reality TV show where aces compete to become superheroes), the series felt more contemporary than it had in nearly twenty years. The franchise was no longer encumbered by the weight of past continuity (I don't think anyone so much as mentions a Jumper or a Card Shark) and was finally free to move in new directions with the creation of the Committee, a team of aces working under the auspices of the United Nations. It was a huge hit. 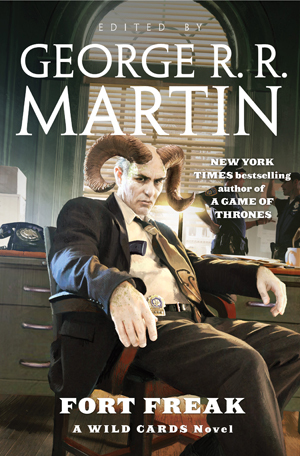 In 2011 the Wild Cards trust launched the Fort Freak trilogy, focusing on the infamous NYPD precinct in Jokertown, the lower Manhattan neighborhood inhabited by the least fortunate victims of the wild card virus. Like Inside Straight before it, Fort Freak was an incredibly strong start, featuring a satisfying variety of rookie patrolmen, veteran detectives, public defenders, wannabe vigilantes, and guilt-ridden citizens, all of it adding up to a comprehensive cross-section of Jokertown’s legal system and its larger social life. Jokertown always was the most developed location in the Wild Cards universe, but it took on new depth in this volume. And that brings us to High Stakes. The book is certainly well named: an extradimensional elder god has plunged Talas into madness and is beginning to expand outside the city before the international community even knows what’s happening. The six threaded narratives feature one US government agent, two Committee members (one administrator and one field operative), one criminal who was working for the fight club, one joker who was caught up in it, and one Jokertown detective who is way out of his depth. It’s not a bad cast at all, and there are no real clunkers in the bunch (even the Midnight Angel has mellowed over the years), but it’s not really a Fort Freak novel anymore. The precinct and its cast are sidelined at the end of their own trilogy, even though there’s a corruption subplot back in Jokertown that by all rights should have received its own protagonist. Then again, I’m not sure where this book would have put them. 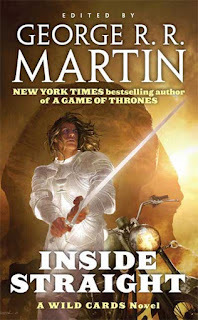 This is a huge novel, approaching the physical dimensions and page count of one of Martin’s A Song of Ice and Fire volumes, and the plot sometimes strains under the weight. 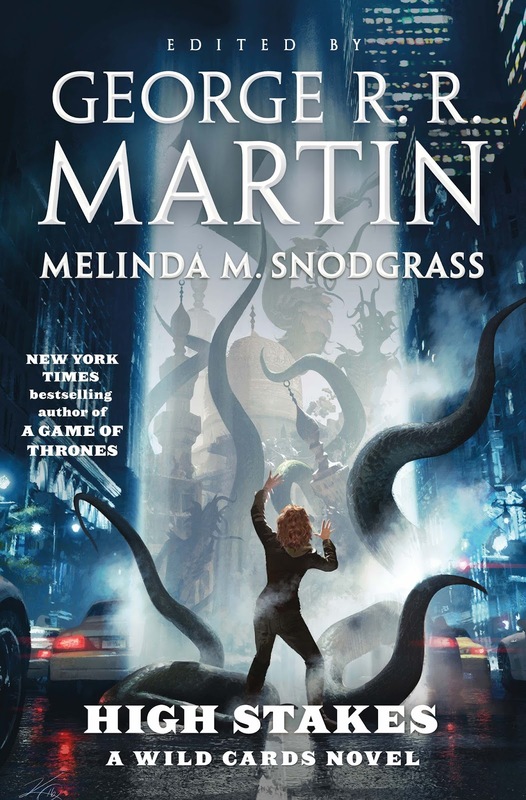 While the opening sketches the characters and their world with efficiency (so we have some stake in what’s being threatened) and the end takes on its own propulsive momentum, the long middle tends to drag as characters get pulled into the madness, escape, return, succumb, resist, on and on until the reader begins to despair for all the wrong reasons. Once the protagonists figure out what’s going on and come up with a plan that actually stands a chance of success, the book shifts into high gear with ease. My personal Wild Cards sweet spot has always been when the books manage to justify classic genre tropes within their more realistic approach to character and setting, and this one includes a desperate prison break, a last-ditch suicide run, and that ultimate comic-book staple, who’d-win superhero fights—all of them executed with the tension and the sense of real consequences that sets Wild Cards apart. 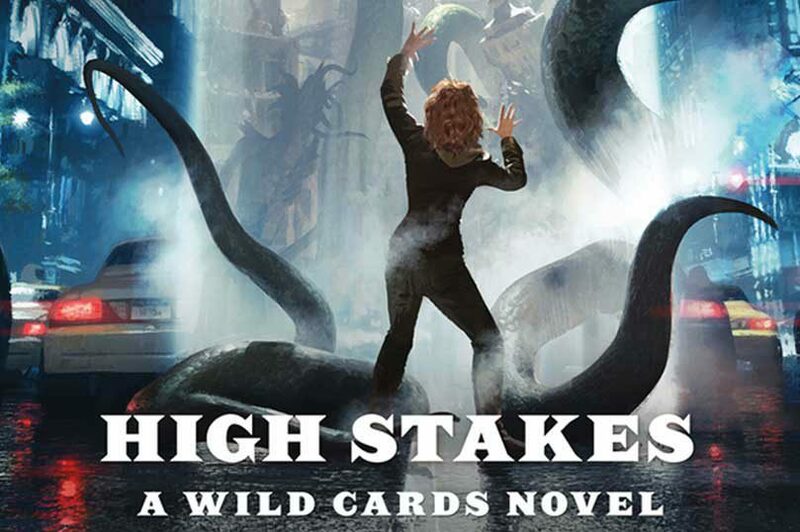 All in all, High Stakes is a successful volume, but it feels like the conclusion to a different trilogy than the one that led up to it. Just a few weeks ago the Wild Cards trust released the first installment in a new trilogy, one that promises to explore other parts of America beyond New York City. Hopefully this one will get to carry that premise all the way through. Marc Singer teaches English at Howard University in Washington, DC. He is the author of Grant Morrison: Combining the Worlds of Contemporary Comics and a new book on the academic discipline of comics studies, due out later this year.